Igor Bezler — aka “Bes” (“demon”) — a professional Russian military officer and an alleged war criminal, born in 1965 in Simferopol, in the Ukrainian Republic of the USSR. He graduated in 1997 from the Dzerzhinsky Military Academy of the Russian Federation and served on the Russian General Staff and the Military Intelligence Directorate (GRU). He also participated in the Russian annexation of Crimea in February-March 2014 and according to Ukrainian officials, he participated in a number of violent events connected with the overthrow of military installations and government facilities. In April 2014, as a member of a diversion group, Bezler helped take over the headquarters of the Secret Service of Ukraine (SBU) in Donetsk Oblast and the police district department in the city of Horlivka. He was filmed identifying himself to police officers of the city as “a lieutenant colonel in the Russian Army.” His group has controlled the city since. He was identified by the SBU as one of the speakers discussing downing the Malaysian Airlines flight MH17 by Russian forces in an intercepted phone call. A 64-year-old Urzuf resident whose son, a volunteer soldier with Ukrainian forces, was killed by Russian militants, recorded testimonies of former prisoners of war (POWs) who witnessed Bezler’s thugs drill into the legs of his son as well as his scalping. The father provided this information to the Security Service of Ukraine, the Ministry of Internal Affairs and the Administration of the President of Ukraine. Nikolai Kudriavtsev brought printed copies of his conversations with the soldiers who had been POWs imprisoned with his son to the newspaper office. What Nikolai told me and what I read in the printouts gave me chills. – Was your son ever in the military? Did he know how to handle weapons? – In deciding to enlist, did he consult with you or did he present it matter-of-factly, like a done deal? – I tried to dissuade him. It’s hard to let your only son go off to war. We hadn’t yet understood how dangerous the enemy was that seized Crimea and then invaded the Donbas. But after Maidan it was scary… Alexei said to me: “If not me, then who?” On 9 May, 2014, Alexei went to boot camp. He was assigned to a special battalion “Artemivsk.” In early June, the unit was in the war zone. My son always called me, but told me no details. I know that he participated in the liberating the city of Krasnyi Lyman. His unit was deployed there at first, then it was transferred to Artemivsk. 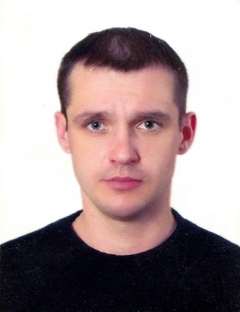 On 12 July, 2014 Alexei was sent to Dnipropetrovsk on business, then he was given a home leave. He arrived during the night of 14th, but had no time to spend with his family, as he was immediately called back to his unit. – At 8:10 AM a bus was leaving from Berdyansk to Artemivsk, which went right through the occupied territory… I will never forgive myself for letting my son take that bus. But Lyosha [endearing or diminutive form of Alexei – Transl.] was in such a hurry to get back to his unit, and it was the only chance to catch a bus taking the shortest route. Alex was dressed in civilian clothes, carrying his uniform in a bag… 14 July, 2014 – the worst day of my life. We asked the driver to check for passengers at checkpoints, we got his phone number. Frankly, I think it was the civilians who were traveling on that bus that gave him up. – How did you know that your son did not get to his unit? On 8 April 2015, on his son’s birthday, Nikolai couldn’t take not knowing any longer, and began his own investigation. “I realized that the law enforcement agencies will get no result” – the man continued. “I re-watched the videos about how the president of Ukraine met with the POWs who were Bezler’s captives in Horlivka in the same time frame as my son. So I located these soldiers of the 72th Brigade. I found some in Melitopol, some in Kyiv, some in Dnepropetrovsk. I phoned them and explained that I am the father of a soldier like them and asked for their help. Most of the guys agreed to meet with me and have the conversation recorded on a dictaphone. The first thing I asked them was to tell the truth. Do not embellish or hide anything. And during the conversations with them I discovered a terrible picture of crime in the Donbas. A chamber was set up in the building of OBOP, which was nicknamed “the NKVD. **” In that chamber Ukrainian soldiers were tortured by two men in their thirties and a woman of medium build. Their commander was a man with two nicknames – Pogranets (“border guard”) and Sova (“owl”). I learned later that in that area there is a very cruel criminal who spent many years in prison. I think it is him. The POWs with whom I talked, watched the video of my son. They confirmed that the video was filmed in that same torture chamber. Several guys told me that after the filming, my son’s legs were drilled into with a drill meant to pierce metal. There is speculation that he was castrated and scalped. Lyosha died during his torture. He could not bear it… One of Bezler’s former prisoners said that he personally carried my son’s body out of the torture room. It was wrapped in a bag and put inside a black “Audi.” Where the body was taken is not known. Only Bezler knows that, apparently. “The former POWs told me that they had to collect and carry out arms, legs and other body parts severed in the torture chamber. They also had to wash away the blood. Every day in that chamber 10 to 20 people were tortured and shot. Bezler himself is an experienced counterintelligence officer and a sadist. I consider him an executioner of the Ukrainian people. His terrible crimes have to be investigated. – Did you believe it when you heard about the death of your son, or could you not accept it for a long time? – I felt that something terrible had happened to my son. I often saw him in my dreams. I’d see him writing a letter on a lined sheet of paper from a school notebook. He gives it to me, but I can not read it. The feeling I had at that moment was that Alexei is no longer alive. Witnesses have confirmed it. His wife still thinks he’s alive. I would also very much like to believe that, but having heard the words from the returning POWs, I understand that this is impossible. One of the guys told me how he had washed away the blood after my son’s torture. You know, everyone with whom I spoke remind me of my Lyosha. Tall, lean, handsome men. – In our area, Alexei is the only one who volunteered into the military, – says the father both with pride and with pain. – Do you keep in touch with the soldiers of your son’s battalion, with the leadership? Are your son’s commanders helping with your search? – Unfortunately, not. Our family has been left to grieve alone. 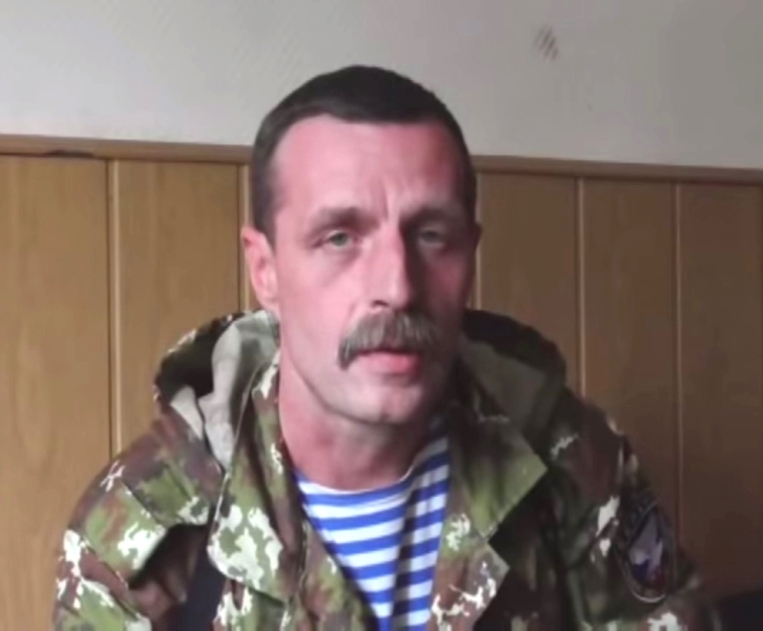 His battalion commander Mateychenko is angry at Alexei because in the video he names him. But my son was tortured terribly. No one knows how one would have behaved in the same situation. How can anyone condemn him for this? Since that time no one from the battalion or his unit has called me or offered help. My son did not receive any special status. He is not considered a “combat participant.” He is considered a patrol officer, unaccounted for. His wife did not receive any [military widow] payments… Aid volunteers, too, do not know about our family… Lyosha’s wife is very hopeful that he is alive. I did not tell her the whole truth of what they did to him in captivity. I cannot. Several times during our conversation the man fell silent for a long time, trying to hold back his tears. – I feel very bad, – says Nikolay. – But by trying to inform people of Bezler’s crimes, by meeting with former POWs, at least I’m doing something, and it dulls the pain a little bit. If instead I’d just lay on the couch at home, probably I would have lost my mind already. I have two reasons to live: to find my son’s body to bury him, and to tell everyone about the crimes of Bezler. – Do your relatives support you? – I haven’t talked with my sister, who lives in Mariupol, for a year. She is pro-Communist and pro-Russia. I am Russian by birth, but I severed all relations with Russia. My homeland is Ukraine. Over the past two years, I realized that the Ukrainian people are the best. And very ancient. Even before the Greeks or the Egyptian pyramids, this territory here had already been inhabited by people who cultivated wheat. Where do you find another such people who barefoot and unarmed got up and walked to defend their freedom? Ukraine was rescued by volunteers. My son never complained. And he did not regret his decision for a second. – Do you communicate with your grandson? How do you explain to him where his father is? – We see each other occasionally. He lives with his mother, in another city. Yegorka often calls me. And always the first thing he asks: “Grandpa, when is my daddy coming home?” I do not answer his question, just move the conversation to another topic. All I have of my son are my memories. When he was little, he grabbed a jar and dropped it. The broken glass cut Lyosha’s leg. We had to go to the hospital to get it stitched… Every day more and more details from my son’s childhood appear before my eyes. – What’s your professional background? – Once upon a time I worked in private security. Then, I built a greenhouse on my plot to grow tomatoes and cucumbers. I sold them to tourists. I can not even think about that now. I need to bury my son. And punish Bezler. * Although after the overthrow of Yanukovych regime, Ukrainian security services are cleaning the country of the former KGB and now FSB and GRU moles, Ukraine is still full of Russian secret agents. Terrorist acts with the use of improvised explosives, anti-personnel mines, hand grenades, grenade launchers or flame throwers regularly appear in the news. ** “NKVD” is the Russian acronym for “People’s Commissariat for Internal Affairs,” the Stalin-era predecessor of the KGB. It is best known for its running of the GULAG system of forced labor camps and mass extrajudicial executions conducted on the orders of Stalin. It is also responsible for mass deportations of entire nationalities and farmers resisting collectivization (so-called “kulaks”) to desolate regions of the Soviet Union.